Are you a smartphone lover and love to get hold of the latest Android flagship devices? Then the brand new Huawei P30 or P30 Pro might be a good choice for you, since they both have some amazing cameras as well as feature all the necessities for a flagship smartphone. With days, smartphone cameras have improved a lot and now flagship smartphones like the Huawei P30 and P30 provide you with quality photos that compete even with the likes of DSLRs. So, the clarity and quality of these images naturally make them more hefty and large sized and the same goes if you shoot any videos especially at 4K. Apart from camera stuff, there are a lot of things that we store on to our smartphones including photos, movies, recorded videos and important files, documents and stuff. So, it’s clear that we consume a lot of storage on our smartphones. Though the P30 and P30 Pro can be configured up to 256GB of storage, keep all this data in a safe fashion requires proper care. However, there are many other reasons could cause data loss, like virus attack, OS update, accidental deletion etc. If you are the one who are suffering from the trouble of data loss as mentioned above, then you might be at stake with your new Huawei P30 or P30 Pro. As your smartphone is precious to you, so is the data in it. To help you get rid of this trouble, we will be telling you about a few software and apps that help you to recover deleted files from Huawei Android internal memory without any hassle. Don’t use your Huawei phone once data lost, as the deleted data may be overwritten by new content. Back up your Huawei regularly: Simply connect Huawei to computer, and directly copy the folders on Huawei and paste to computer. Step 1. Download, install and run Jihosoft Android Data Recovery program. Step 2. Connect Huawei phone to computer and enable USB debugging. Step 3. After the software detected your phone, scan deleted data on Huawei phone by clicking the “Start” button. Step 4. After scan finishes, preview and mark the data you need to recover. Then tap “Recover” to recover deleted files from Huawei Android internal memory selectively. There are times when we delete our important photos or videos from our smartphone accidentally, and so it can happen on your new Huawei P30 or Pro as well. 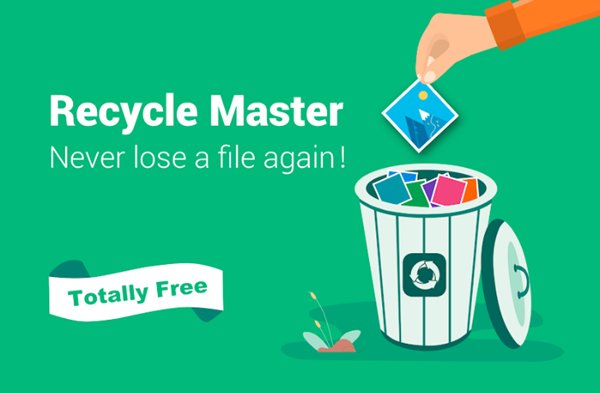 Just install the Recycle Master app from Play Store to get an actual recycle bin or trash bin in your device. Having such a kind of virtual bin ensures that all your removed photos, videos, documents and other types of files automatically get backed up into the recycle bin or in the trash. You can then easily recover all your deleted files any time if you want and restore them right onto your P30 or P30 Pro. All Features provided by this app are free to use. Instantly Retrieve option helps you retrieve all your pictures, videos, audios, documents and any type of files. This app also has the option to Lock App with Password that protects your app privacy with some password or pattern. Releases your device space automatically using the Cleaning feature present in the app. 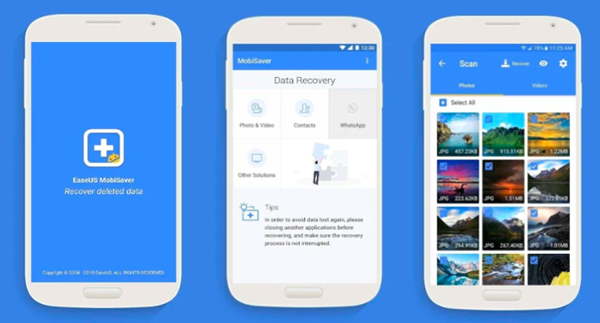 EaseUS Mobisaver is one of the easiest Android data recovery app in this business. It easily retrieves back all your deleted photos, pictures, images, videos, text messages as well as WhatsApp conversations and even frequent contacts & call logs from both P30 or P30 Pro’s internal memory as well as from the external microSD card. The supported photo formats which you can recover by using this app are: JPG/JPEG, PNG, GIF, BMP, TIF/TIFF; and the supported video formats for recovery include MP4, 3GP, AVI, MOV. For quick and easy data recovery, you only have to scan your Huawei P30 or P30 Pro’s internal storage and look for those deleted files, images, videos or messages and even the deleted contacts that you have lost recently and select them to confirm and get all of them recovered easily. As the name suggests, this app also helps you recover data from Huawei phone. 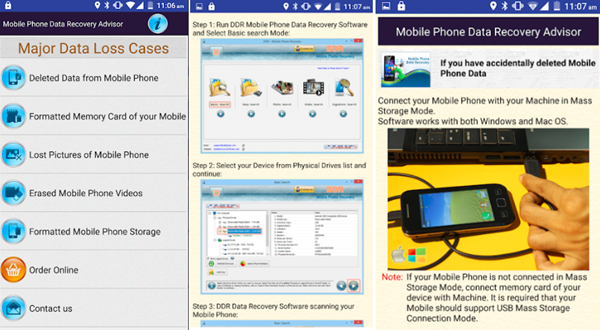 Mobile Phone Data Recovery DOC is a free Android app that ultimately lets you undo delete photos on Huawei or even erased files, photos, videos, and other lost data from your P30 or P30 Pro’s internal storage or your microSD card using the DDR mobile Data Recovery Software. 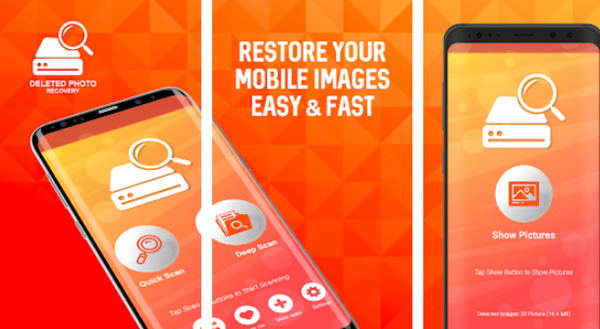 Deleted Photo Recovery Free is truly a powerful Photo Recovery tool for Huawei Android phone that readily scans and searches your phone internal storage as well as SD card for all the deleted images and helps you to recover them back automatically. Often we accidentally delete or lose our photos due to some misoperation, this app easily retrieve deleted photos on Huawei even if your OS is not providing the opportunity to recover. This is a free data recovery app whose simple OS makes it very easy to use. Just use it to scan your Huawei P30 or P30 Pro and the app will display all the photos that can be recovered. 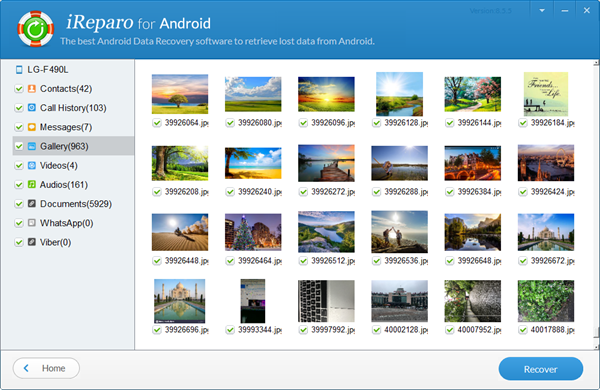 All you have to do now is to find and select the pictures you want to recover back. Also, this app acts as an exclusive recycle bin exclusively for all your smartphone photos. 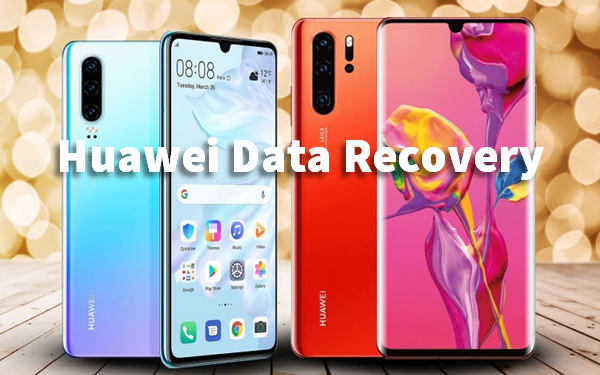 So, here are the 5 best Huawei phone data recovery software that can be readily used to recover deleted/lost data from your new Huawei P30/P30 Pro and other Huawei devices. As most of these apps are free to use and free for download, so you can try each of them out on your new device to see which one works better and accounts for your needs. As the Huawei P30 and P30 Pro have a lot of storage options, it may happen your photos, videos, files get lost or even deleted, so keeping such a recovery app will always help you a lot in future. Having recovered back your data using these apps try to keep them secure so that they do not get lost, and even if they get you to have these amazing apps to help you out.